L.L.L4L.L.L. : School Library's are vital. Stand tall!! In his article: The Unsung Heroes in our Schools, Brad Meltzer explains that "school librarians transform lives through education and make it possible for students to thrive in a 21st century learning environment." 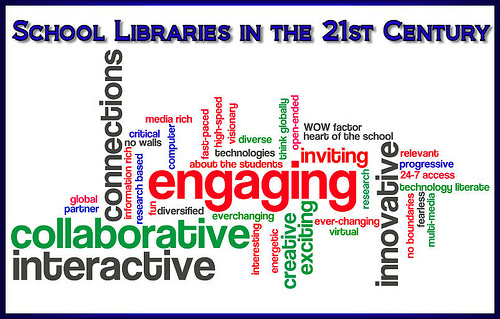 Meltzer is concerned that much of the school librarian/teacher librarians' vital work is largely unrecognized." but he feels that "what is worse, it is being compromised, as local, state and federal funding for school libraries continues to shrink." Meltzer encourages the readers to fight for funding for school libraries: "As policymakers and school administrators struggle with tough decisions, we as a nation must voice our support and advocate for funding, so that all children have access to 21st century school library programs." in the article Librarians role vital the former director-general of the National Library of Australia stated that "Libraries are just as important today as they were before the digital revolution." Books last for 300 years but the obsolescence of some digital devices reinforces the need for experts to manage various storage techniques. One really effective way to let everyone know how effective your school library is-show them. 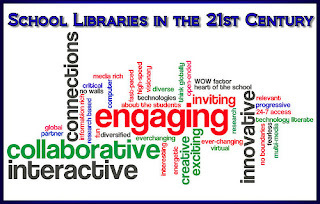 The 2011 PA School Library Study provides a benchmark for school libraries in Pennsylvania. Determine how your library measures up and what you can do to gain more support for your library program based on the recommendations from the study. Effective School Library Programs Positively Impact Student Achievement.